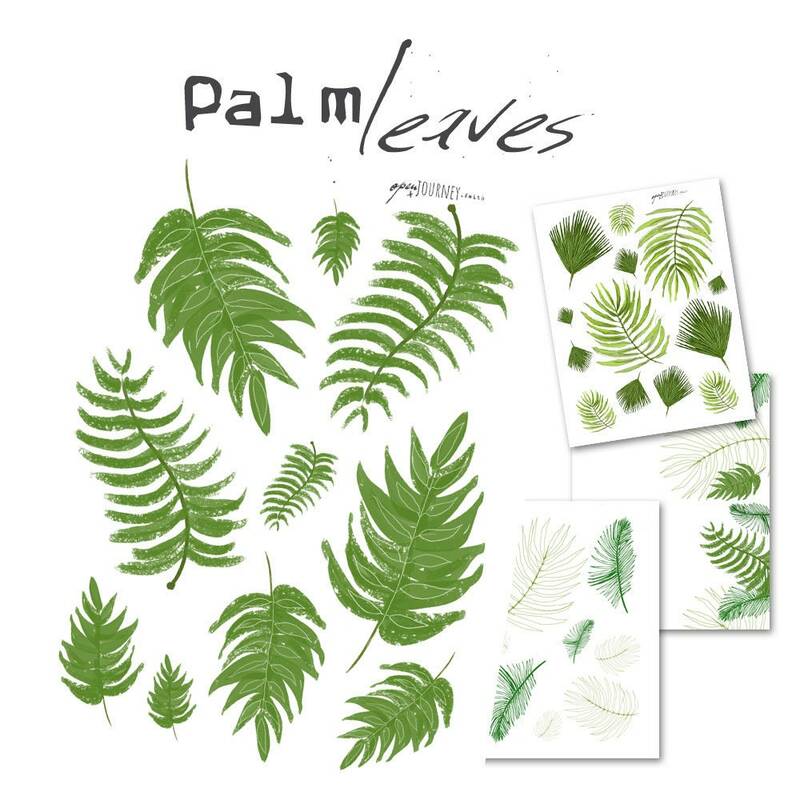 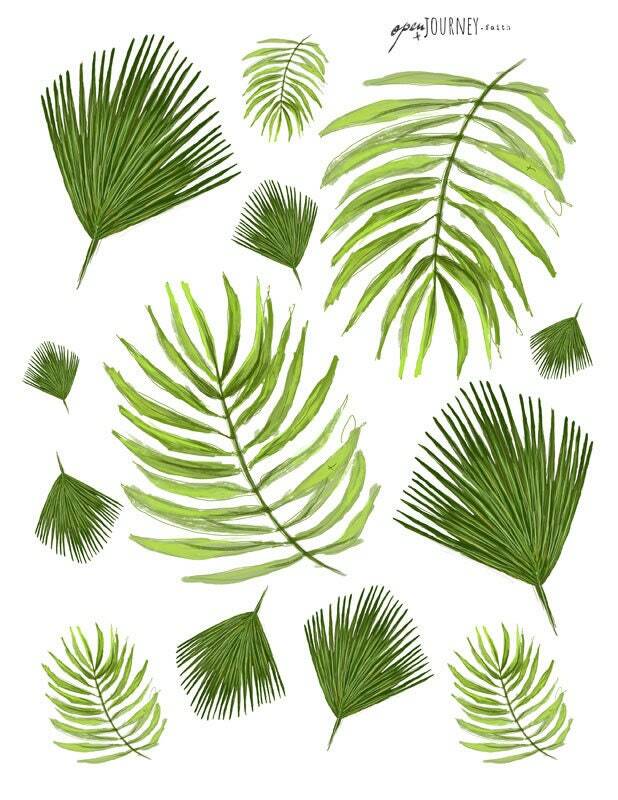 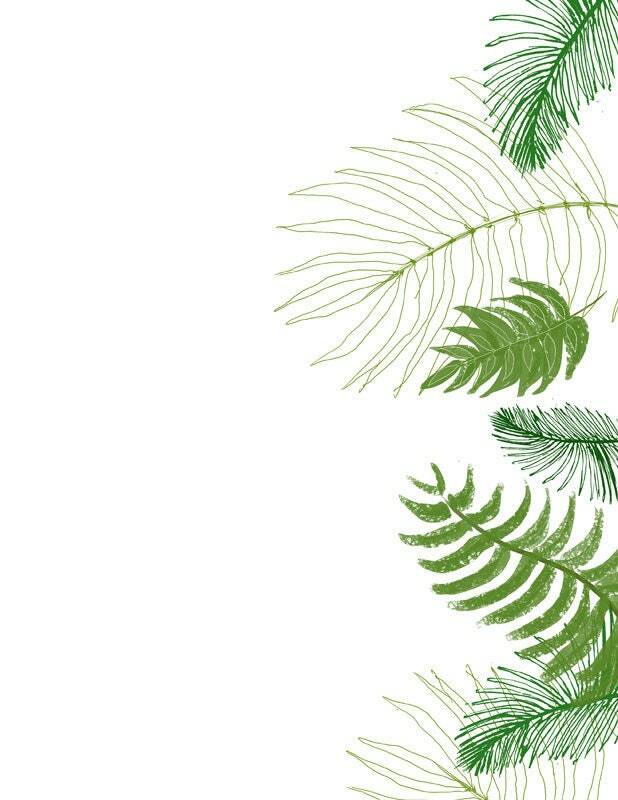 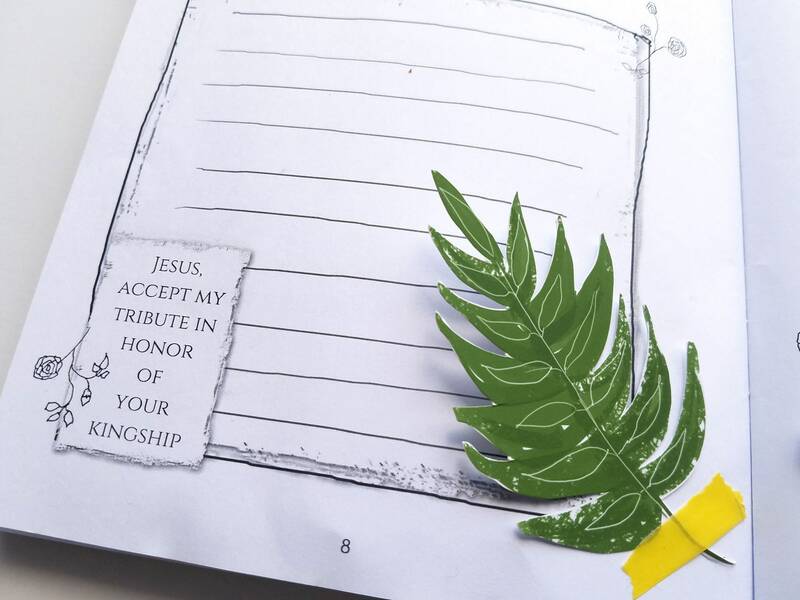 These beautiful Palm leaves illustrations are perfect for bible journaling but they can be used for a variety of projects. 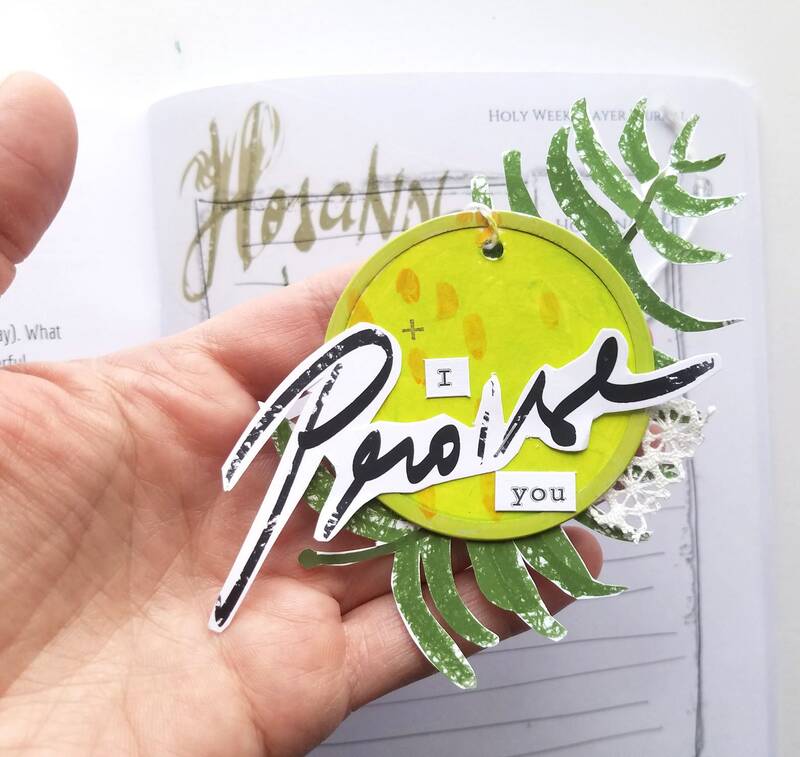 They are perfect for cut and paste or to print on clear Maco or Avery (8665) label sheets to create transparent stickers for Bible Journaling, card making, scrapbooking, beautiful packaging or other craft applications. 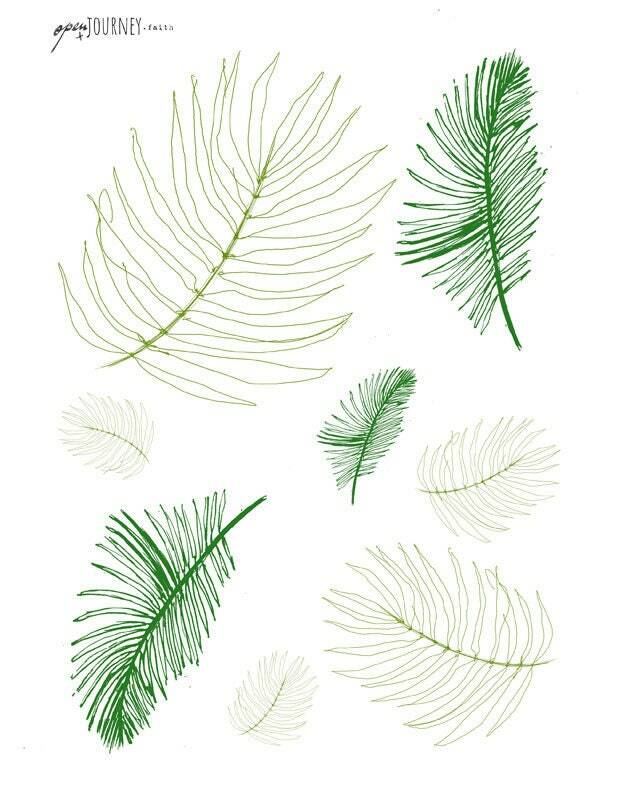 The last two images show the artworks in different applications. 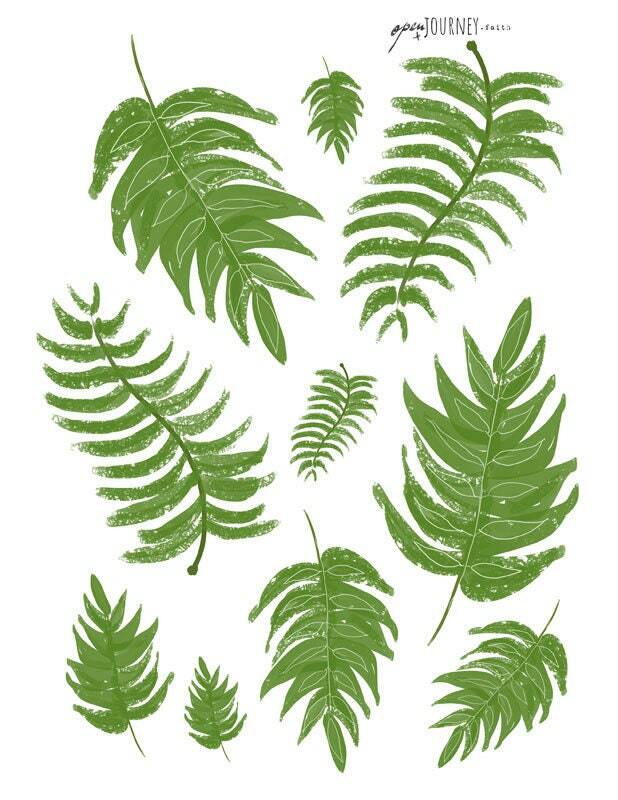 The digital download will provide you with four (4) 8.5 x11" sheet of botanical elements at 300 dpi for you to print on your favorite paper and use repeatedly.